VocabularySpellingCity . . . A T.O.S. Review | My Journeys Through Life . . . Herding Cats In New Mexico! 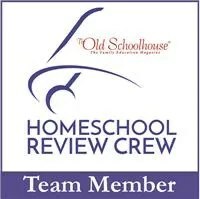 Do you want a value packed, full of fun online language arts program for your homeschoolers? 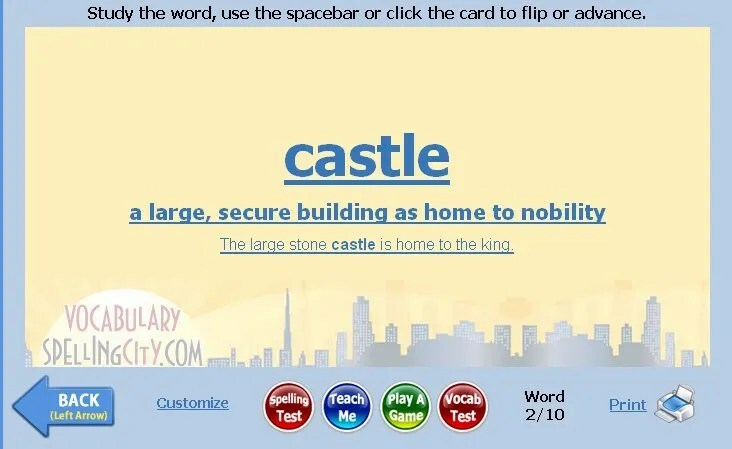 Well, the VocabularySpellingCity Premium Membership might just be what you are looking for. When I first looked at this program, in the process of deciding whether or not to request the review, my reaction was W.O.W., there is SO much available there, and this program is good for any students from kindergarten through 12th grade! I have four boys, with very different learning abilities and styles, and VocabularySpellingCity is a site they are ALL enjoying. My twins, “Mr. Loquacious” and “The Puzzler” are, as you know, still working on learning to read. They are getting better, but VocabularySpellingCity seems to be actually helping them to comprehend the words a little better, as well. I have them working with “Word Family” lists, which are available in weekly segments, along with a great number of other types of lists, which you are free to import into your account and use. With my older boys, “The Batman” and “The Artist”, I decided to use (at this time) themed lists, such as “October – Harvest”, for example. VocabularySpellingCity takes a word list and wrings everything it possibly can from it. By the time they are done, your children will know pretty much everything they can about the words on the list you have assigned them! Here is the assignment section from one of “Mr. Loquacious’s” weeks . . . The Word-O-Rama game . . . Flash Card . . .
Full disclosure, neither “Mr. Loquacious” or “The Puzzler” were very fond of “Letter Fall”, and asked me to change to something else on their assignments. They had a hard time with this activity, and the speed of it. It is very easy though, to switch up the activities in an assignment. You are given a good size list of options, each one taking your chosen word list and teaching all sorts of things with it, from spelling, vocabulary (definitions, use it in a sentence, etc), there are word find activities, crosswords, just so many ideas that you can use to keep your kids interested long enough to really learn those words! Here is a look at what you can offer to them as assignments . . . 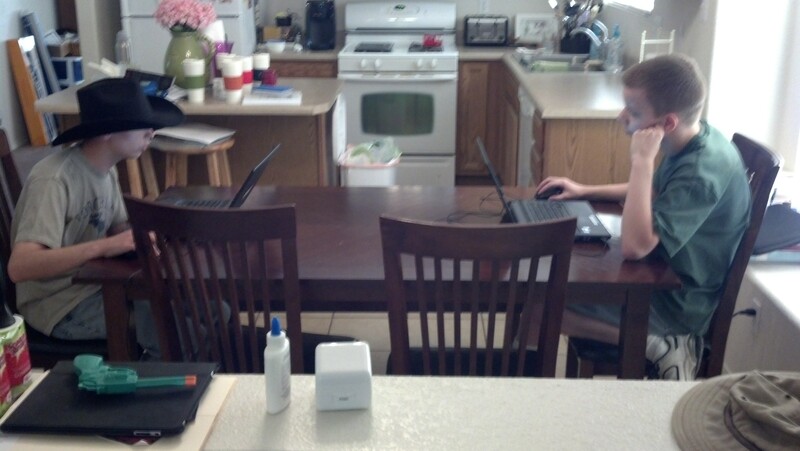 Here are “The Batman” and “The Artist”, both working on their VocabularySpellingCity assignments . . .
And here are “Mr. 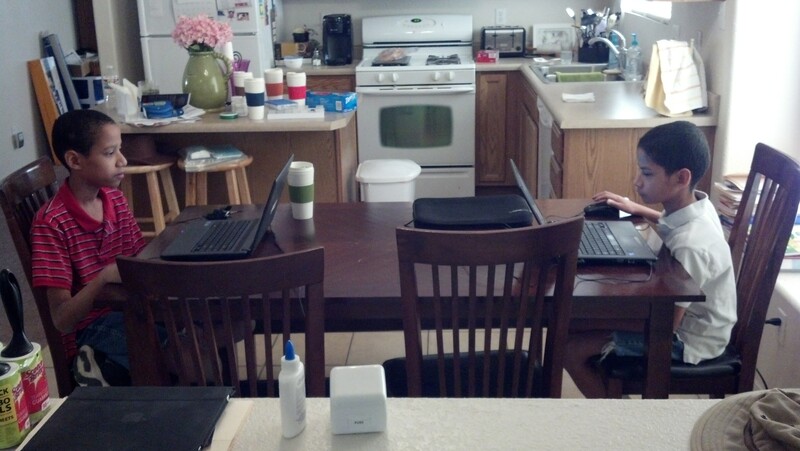 Loquacious” and “The Puzzler”, working on theirs! 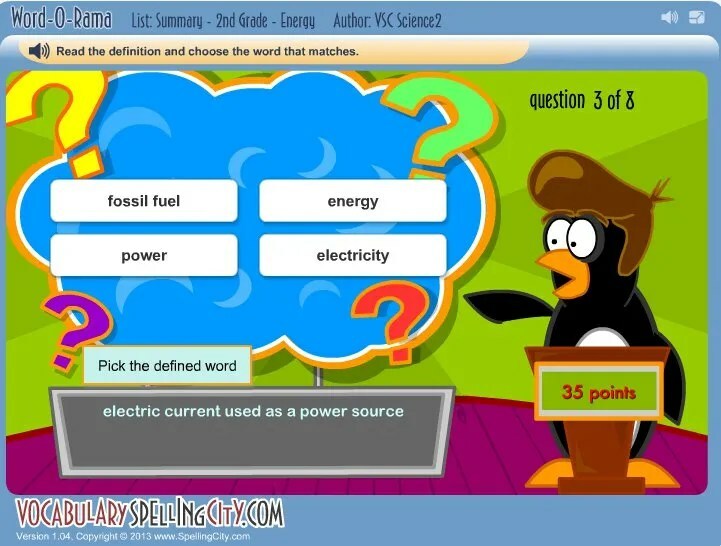 Watch this short video to learn more about VocabularySpellingCity Premium Membership . 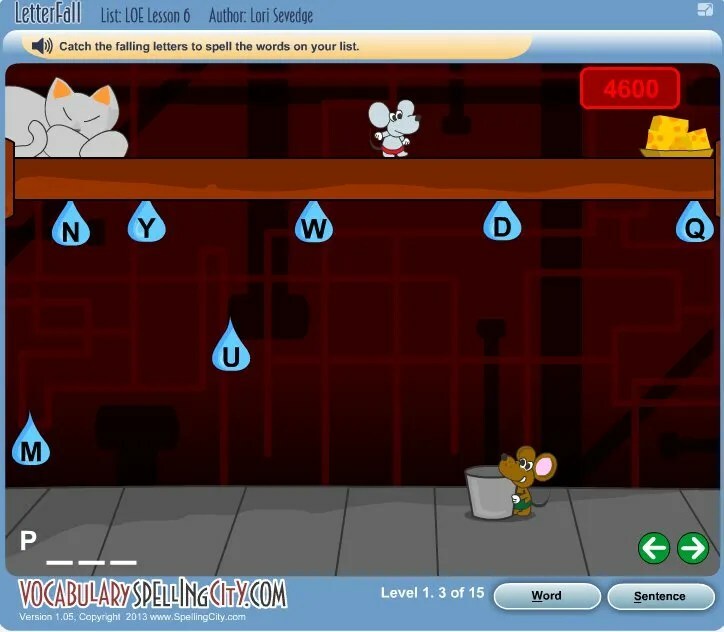 . .
Now, while you CAN get a free membership to VocabularySpellingCity, which would definitely give you a lot, including spelling lists, the parent page, printables and spelling tests, along with some other resources, I think the VocabularySpellingCity Premium Membership is a great deal. The cost is just $29.99 for an entire year, which covers up to five students. Here, you can see a comparison checklist between the free membership and the premium checklist . . .
As you can see, there is SO much available when you go with the premium membership! This has for sure turned into one of those products that the boys will have included into their educational schedule for this year, because, as you probably already are aware, I feel strongly that whenever possible, education can, and should, be fun. This is fun. When I have boys actually asking if they can go again after their brothers have finished doing their time on VocabularySpellingCity, well then, I think we definitely have a winner, don’t you? To find out what other Schoolhouse Review Crew members thought of VocabularySpellingCity, please click the graphic below! Pingback: Weekly Wrap-Up . . . A new Series For us | My Journeys Through Life . . .